On the heels of both a new studio album and Mavis!, a feature-length HBO documentary about the singer’s career, Staples is as prolific now as she’s ever been, enjoying yet another peak in a late-career resurgence that began in 2010 when she teamed up with Wilco’s Jeff Tweedy to make the Grammy-winning LP You Are Not Alone. 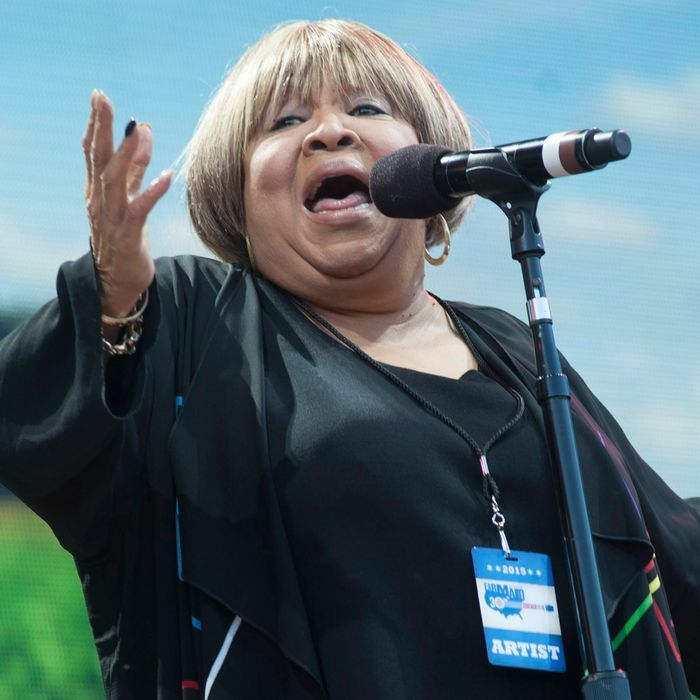 In April, Staples — who began her recording career in 1956 as the teenage star vocalist of her family gospel group, the Staple Singers — heads to Coachella, where she will be the only performer to have made an album before the late ’80s. “When I was asking people to write songs for my new album, I wasn’t too worried about Neko because we’re partners. I’ve known Neko awhile, she’s so crazy, both her and my other friend, Kelly Hogan. Kelly sings background for Neko a lot and also sings background for me sometimes. You don’t want to see Kelly and Neko together. They’re just like those two girls who were on the Golden Globes the other night, Jennifer Lawrence and Amy Schumer. If you see Neko and Kelly together, they would knock those two girls out of the park. “When Prince called me, I said, ‘Why does this young guy want to hang with me?’ I was surprised. It was like when my manager told me that Jeff Tweedy wanted to produce me. I said, ‘Oh Lord, here’s another youngster coming.’ But it’s great. That’s the way it should be. I used to sing with sister Mahalia Jackson a lot and I was much younger than her, so it’s just carrying that tradition on.